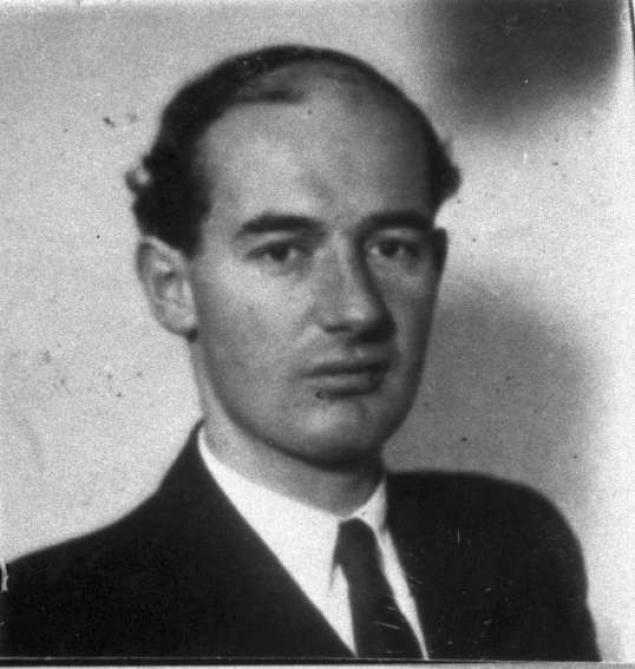 One hundred years ago, on Aug. 4th, 1912, Raoul Wallenberg was born. During 1944, in just a few months, at the age of 32, this young man orchestrated and implemented one of the most remarkable life-saving efforts known by mankind. Armed with his values and his powerful imagination, he set in motion a shrewd and efficient diplomatic machine which, against all odds, managed to save scores of innocent lives in Hungary during World War II. Wallenberg was born into one of the most powerful and influential families in Sweden. The sad truth is that some of his closest family members played a cardinal role in the commercial ties between Sweden and Nazi Germany, facilitating the sale of strategic raw materials from the former to the latter, thus helping Hitler’s war efforts. As a young member of the Wallenberg clan, his future was bright and promising; and yet, when approached by the World Refugee Board, he did not hesitate to take up the formidable challenge of saving the remains of the Hungarian Jewish community. Wallenberg was a gifted person. His imagination was only overshadowed by his practicality. He understood the Nazi psyche better than anybody and, depending on the circumstances, he could be cajoling or threatening. Above all, he epitomized a person who empathized with those in plight, even if they were not his fellow countrymen, nor shared his religion or ethnicity. Tragically, this unique human being who struggled so much to save others, became himself a victim of another totalitarian regime. On January 17th, 1945, he asked his driver, Vilmos Langfelder, to take him to the Soviet military headquarters in the liberated Budapest. According to most accounts, he wanted to coordinate with the Soviets the required humanitarian measures to help the survivors rebuild their lives. This time he failed. He and Langfelder were taken prisoners by the Soviets and rushed to Moscow for interrogation. Even today, their fate and whereabouts are still shrouded in mystery. Back in the early 1990’s, together with my dear late friend, Tom Lantos (the only Holocaust survivor who ever served in the Congress), I had the honor of founding the International Raoul Wallenberg Foundation. Two decades later, the IRWF has offices in New York, Buenos Aires, Berlin and Jerusalem. More than 300 heads of state (former and incumbent) as well as Nobel Prize laureates are amongst our honorary members. We devote ourselves to researching and unveiling unknown stories of rescue, to paying tribute to the rescuers, to educate the young generations by instilling in their minds and hearts the feats of these remarkable role models — and we never gave up on our struggle to get clear and credible answers about Raoul. The likelihood that he is still alive is extremely slim; but even so, he should be a hero with a grave. We have therefore announced a financial reward of 100,000 euros to any person or organization able to provide scientifically provable information that would allow us to bring him back home to Sweden, next to his parents, his step-father and his half-sister Nina, who is still alive. In the second decade of this century, Wallenberg’s legacy is more relevant than ever. In a world tainted by ethnic violence and mass murders, his voice reverberates loud and clear. While it is understandable and warranted that war criminals get full and proper exposure, we should not forget the saviors, the rescuers, those who risked their own lives to save others. These role models are the most efficient tools to prevent the recurrence of a future Holocaust. Judaism teaches us of the importance of recognizing goodness. Wallenberg and his likes are the embodiment of goodness, and we should therefore actively recognize their feats. And we are grateful to both the U.S. executive and legislative powers for their sensitivity to Wallenberg. Last April, in an unprecedented gesture, President Obama dedicated a videotaped message to Wallenberg. A few days ago, we were moved by the Senate unanimous vote to pass the bill that will bestow the Congressional Gold Medal on the Swedish diplomat. These symbolic acts contribute to keeping Wallenberg’s legacy alive. We hope that the leaders of other countries will follow the example set by the United States. Tenembaum is the founder of the International Raoul Wallenberg Foundation.